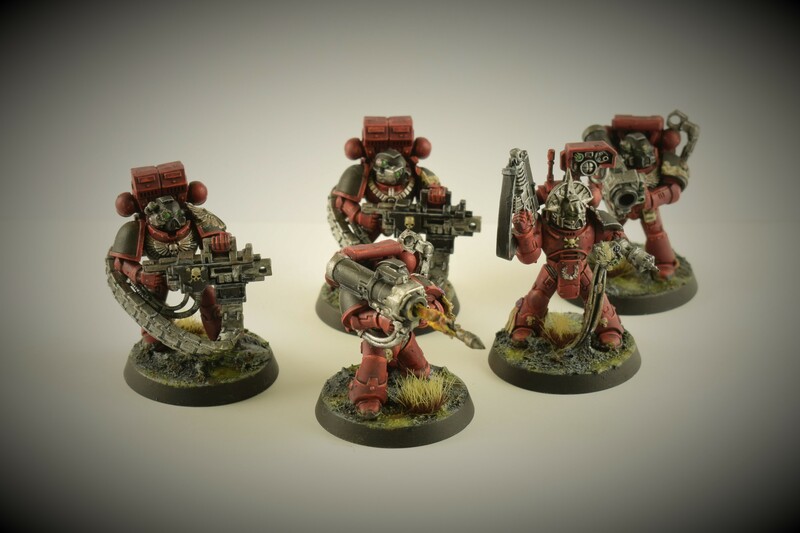 Bit of an update on my Blood Angels Successor Chapter, the Wardens Encarmine. First up, the Devastators. 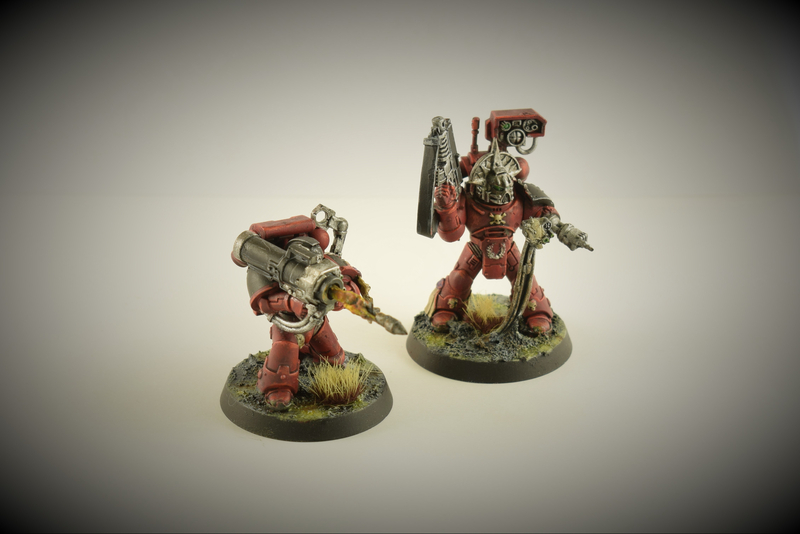 I painted these guys some time amidst the fog of last year, but hadn’t managed to take any photos until today. Here they all are, outfitted with iconic weaponry in the form of heavy bolters and missile launchers. The kit comes with some nice options to make the leader of the unit a bit more interesting with bionics and servo-skulls available. Overall, the reinforced leg armour provides a nice contrast to the regular Tactical Marine. Having purchased him at the release of 8th edition back in June, he’s now ready to be primed. I guess Astorath doesn’t really fit so well with the idea of a Successor Chapter, but he’s just too cool a model not to have. Very nice mate – they certainly look like they mean business, and the flaming rocket is very well done. 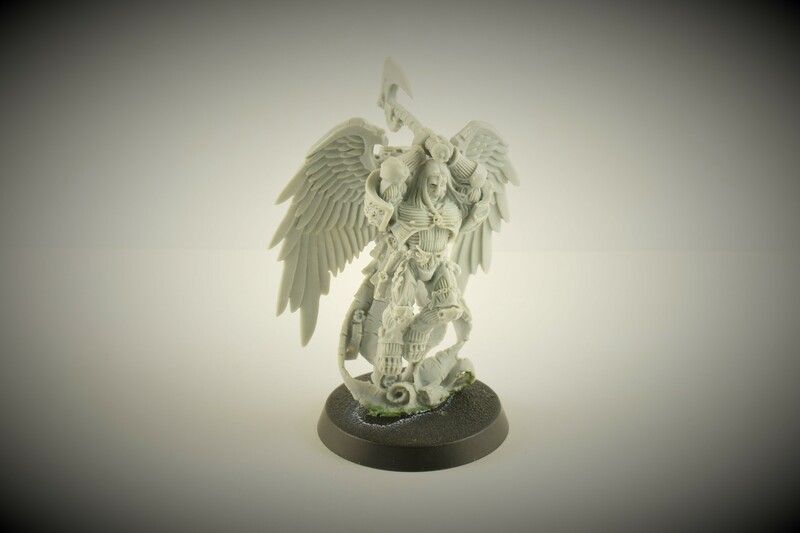 Looking forward to seeing what you do with Astorath… gorgeous mini!